Left to right: Justin Baldoni, Keke Palmer, Rebecca Rittenhouse, Mehcad Brooks, Ryan Guzman, Katharine McPhee, Jack Falahee, Rachel Bloom, Jussie Smollett, and Jaimie Alexander were photographed at TheWrap Studios in Los Angeles on August 9. Styling by Jordan Grossman. Baldoni wears a suit by Anthony Franco, button-down by Hugo Boss and shoes by Bally. Palmer wears a romper by Peggy Hartanto and heels by Giuseppe Zanotti. Rittenhouse wears a dress by LUBLU Kira Plastinina and heels by Christian Louboutin. Brooks wears a suit and button-down by Burberry, shoes by Aldo. Guzman wears a suit by Anthony Franco, button-down and shoes by Aldo. McPhee wears a dress by House of CB and heels by Marskinryyppy by Nicole Brundage. Bloom wears a dress by LUBLU Kira Plastinina and heels by Gucci. Falahee wears a suit and button-down by John Varvatos, shoes by Hugo Boss. Smollett wears a suit, button-down and shoes by Calvin Klein. Alexander wears a jumpsuit by VONE and heels by Stuart Weitzman. 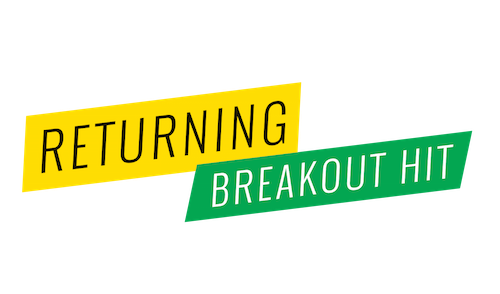 10 STARS, 5 NETWORKS: THE NEW BROADCAST IT LIST. When you talk about television these days, it’s all too easy to focus on pay-cable, basic cable and streaming, which tend to dominate the Emmy nominations and the trendy, of-the-moment shows. But that does a disservice to the broadcast networks, which are not only the place where great television was born, but have stayed in the game even if Emmy voters and trendseekers are looking in other directions. 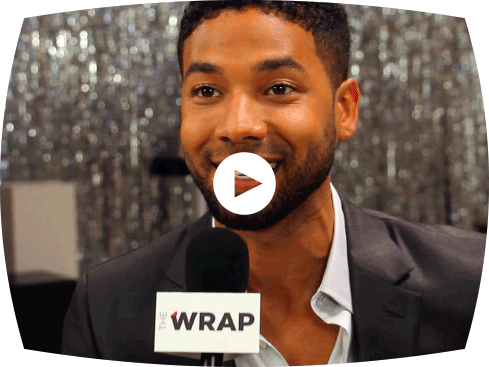 That’s why TheWrap decided to celebrate broadcast television in our first ever Fall TV Issue. Broadcast still reaches the largest audience and jump-starts the most conversations; it’s still a place where Empire can become the year’s biggest breakout hit, where Viola Davis can go from great actress to certified star within the first dozen episodes of How to Get Away With Murder. We have continuing dramas (sophomore shows Empire, How to Get Away With Murder and Scorpion) and comedies (Jane the Virgin, also going into its second season), superhero shows both new and rebooted (Greg Berlanti’s Supergirl and Tim Kring’s Heroes Reborn), a horror comedy (Scream Queens, from Ryan Murphy) and a musical comedy that moved from cable to broadcast before it ever made it to the air (Crazy Ex-Girlfriend), a nighttime soap (Blood & Oil) and a dramatic puzzle with clues written on the skin of its lead actress (Blindspot). “I just hope that all of us know how lucky we are to have a job, and to be able to do what we do,” says Justin Baldoni from Jane the Virgin of our cover crew. “We should savor every moment.” Cheers! 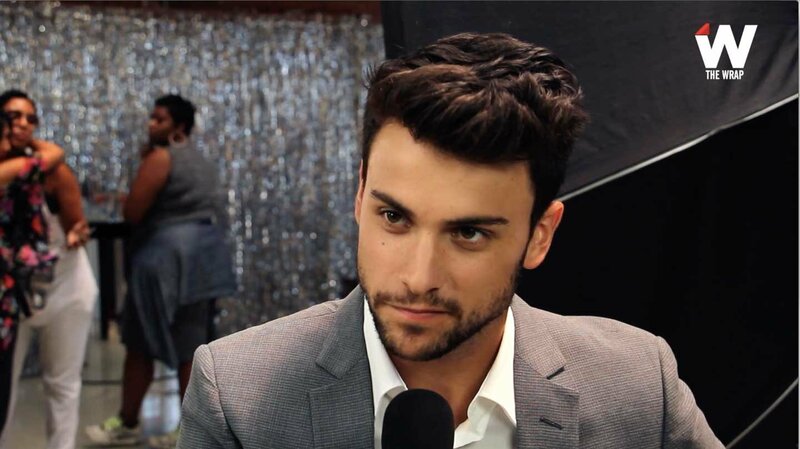 The craziest moment for Jack Falahee during the first season of How to Get Away With Murder came the first time he was recognized in the supermarket, and the most rewarding came with the reaction he’s received from the LGBTQ community for his portrayal of a duplicitous law student who happens to be gay and proud. But it didn’t take a fan in the produce aisle or a letter from a closeted teen for the 26-year-old Michigan-born actor to realize that the Peter Nowalk/Shonda Rhimes show starring Viola Davis just might be something special. They did. With Viola Davis leading the cast as attorney and law professor Annalise Keating and Falahee as one of the interns who become embroiled in a murder plot with Keating, the show’s pilot set a record for DVR playback, while Season 1 won AFI, Image and SAG Awards, along with Emmy nominations for Davis and Cicely Ty-son. Falahee said he’s sworn to secrecy about the second season, though he did let a few things slip. “The show picks up right where we left off,” he said. “We find out who killed [neighbor and murder suspect] Rebecca in the first episode back, which is very exciting.” And there’s another development that might come as a surprise, con-sidering that Falahee’s character, Connor Walsh, was seen by the other interns as ruthless and self-centered in the first season. “I think that you start to see the students become friends, which is interesting,” he said. “You can definitely be assured that Team Scorpion will be solving the world’s prob-lems one episode at a time,” Katharine McPhee said of the second season of Scorpion, the CBS drama about a squad of high-tech geniuses who use advanced brainpower to tackle things like biohacking, nuclear meltdowns and arms dealing. But the 31-year-old singer-turned-actress, who first burst into the public eye in the fifth season of American Idol before moving to the musical drama Smash and then Scorpion, also promised viewers that a lighter tone will occasionally prevail, as will the romance between her character, single mother Paige Dineen, and Scorpion team leader Walter O’Brien (Elyes Gabel). And McPhee, who will also release her new album this fall, encountered that fandom first-hand, she said, when she went on vacation. “The best part was going to Vegas with a group of friends and realizing, ‘Wow, this is a Scorpion town,’” she added with a laugh. Success came early to Keke Palmer—at age 10 she became the youngest-ever SAG lead actress nominee for The Wool Cap, opposite William H. Macy, and she scored lead roles in Akeelah and the Bee and Nickelodeon’s True Jackson before turning sweet 16. Now 22, she’s blown away to be costarring with Jamie Lee Curtis and Emma Roberts on Scream Queens, Ian Brennan, Brad Falchuk and Ryan Murphy’s terror-iffic Fox show about a sorority with death problems. Meanwhile, she puts up with the seven hours it takes to apply the full-body tattoos by blasting the Beatles on Pandora, drinking coffee and having good conversations with the crew assigned to cover her with ink. And if she had to persuade somebody who knew nothing about the show to watch it, what would her pitch be? “I’d proba-bly just strip off my clothes and say, ‘You wanna see this every Monday, you just tune into NBC, 10 p.m. after The Voice,’” she said, laughing. Crazy Ex-Girlfriend was created, and its pilot was shot, as a half-hour comedy for Showtime, with all the usual freedoms that entails when it comes to language, theme and sexuality—freedoms that could come in handy in making a show that co-creator and star Rachel Bloom describes as “an effed-up romantic comedy.” But Showtime passed, the CW stepped in—and suddenly, the show was subject to broadcast standards and practices. And it was expanded from a half hour to an hour. And did we mention it’s also a musical? The 31-year-old Baldoni, who is himself a new father to a baby girl born in June, said the first-season success of Jane didn’t really hit home until the show was nominated for Best Television Series — Musical or Comedy at this year’s Golden Globes. (Rodriguez was also nominated, and won.) “I was in bed with my wife, and Gina called me at 5 in the morning,” he remembered. “I looked at my phone and I just started cry-ing, because I was so grateful. Crude greed is more evident in the family of oil patriarch Hap Briggs, played by Don Johnson. As an actor, he was a towering presence on set, eager to help the youngsters (perhaps because he’s an executive producer on the show too). “Don loves to give tips to everybody,” said Rittenhouse, 26. “He has a lot of experience, so with a guy like Don Johnson, you just watch and learn.” One day, she thought Johnson hated her until she realized that he was in character shooting her a dirty look, even though cameras weren’t rolling. If you’ve seen any of the multitude of films and TV shows from the Superman universe, you probably have a pretty good picture of Jimmy Olsen, the cub reporter sidekick to Clark Kent and pal to the Man of Steel: unkempt red hair, freckles, lots of energy but not much experience… Let’s face it: You don’t picture him as a six-foot-plus African-American former Calvin Klein model in his mid 30s. 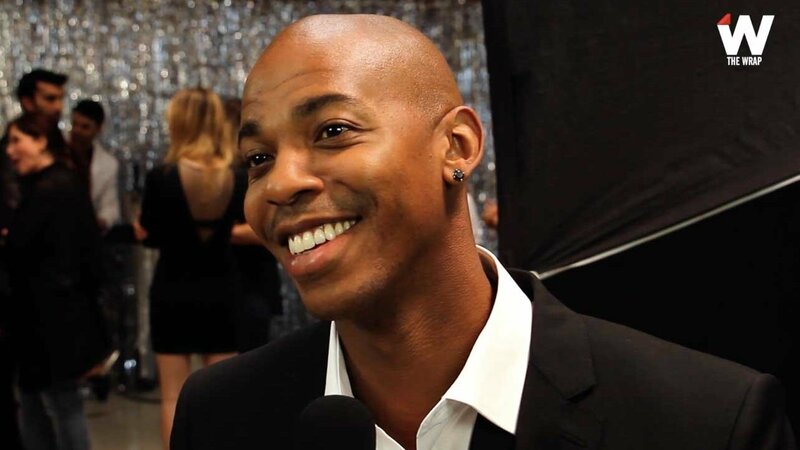 But that’s Mehcad Brooks—and in CBS and producer Greg Berlanti’s highly touted Supergirl, Brooks is a new kind of Jimmy Olsen. Jack Falahee of ABC’s "How to Get Away With Murder" and Katharine McPhee of CBS’s "Scorpion" photographed by Corina Marie Howell at TheWrap Studios. Styling by Jordan Grossman. Jack Falahee: Grooming by Melissa DeZarate for Exclusive Artists Management using Kevin Murphy and Murad Skincare. Katharine McPhee: Hair by Derek Williams and makeup by Lauren Anderson. Photographed by Corina Marie Howell at TheWrap Studios. Left to right: Ryan Guzman, Justin Baldoni, Jack Falahee, Katharine McPhee, Jussie Smollett, Keke Palmer, Rachel Bloom, and Rebecca Rittenhouse. Photographed by Corina Marie Howell. Justin Baldoni of The CW’s "Jane the Virgin" and Rebecca Rittenhouse of ABC’s "Blood & Oil". Photographed by Corina Marie Howell. 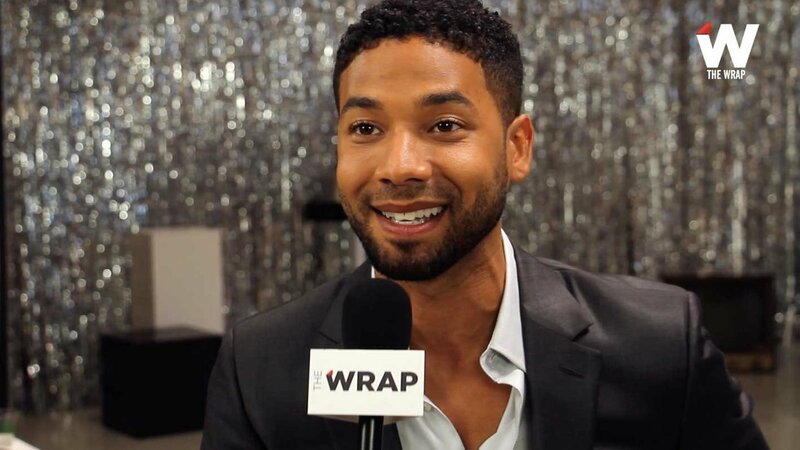 Jussie Smollett of Fox’s "Empire" photographed by Corina Marie Howell. Jussie Smollett: Grooming by Nil Muir. Styling by Jordan Grossman. Keke Palmer of Fox’s "Scream Queens", Rachel Bloom of The CW’s "Crazy Ex-Girlfriend", and Ryan Guzman of NBC’s "Heroes Reborn". Photographed by Corina Marie Howell. Justin Baldoni: Grooming by Christine Nelli for Exclusive Artists Management using Kevin Murphy. Rebecca Rittenhouse: Hair by Alex Polillo and makeup by Ashleigh Louer. Keke Palmer: Hair by Cynthia Alvarez and makeup by Brandy Allen. 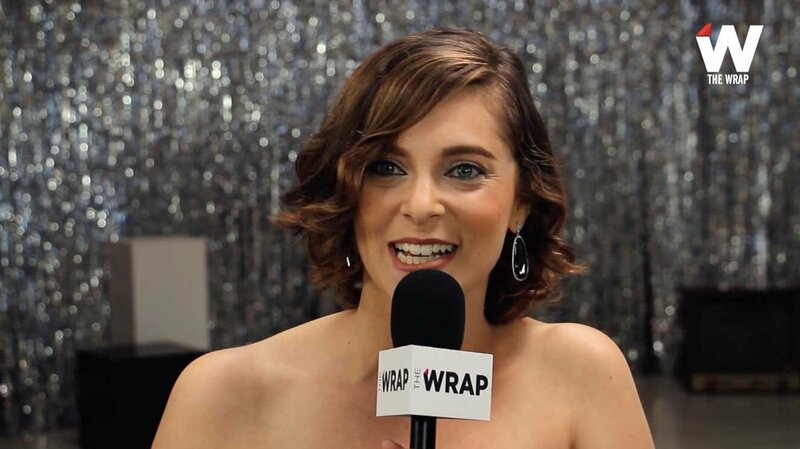 Rachel Bloom: Hair and makeup by Chechel Joson. 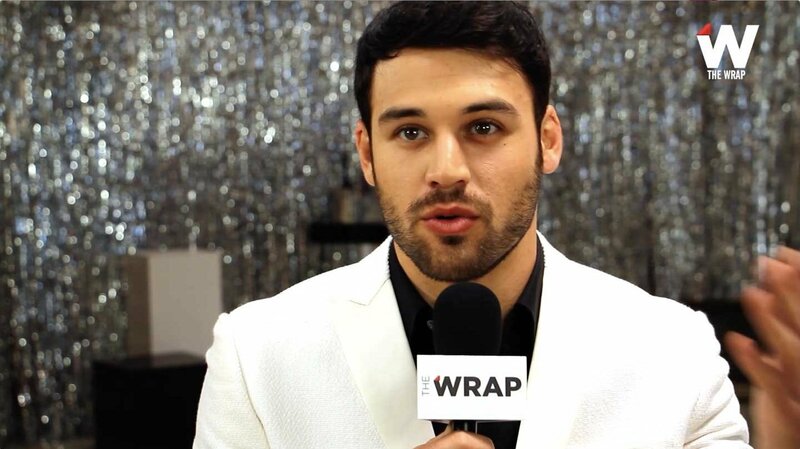 Ryan Guzman: Grooming by Melissa DeZarate for Exclusive Artists Management using Kevin Murphy and Murad Skincare.